The EasiEar Disposable Comfort Curette is a safer, more comfortable metal curette. The rounded wire surface does not have the sharp, abrasive edges of plastic curettes, created during injection molding. Therefore the EasiEar Curettes are more comfortable on the sensitive external auditory canal and much less likely to cause bleeding. Ear canals can get clogged with cerumen. This can obstructs the view of the middle ear and interfere with hearing. Cheap plastic curettes can have sharp edges that scrape the sensitive ear canal causing pain, bleeding and mistrust. 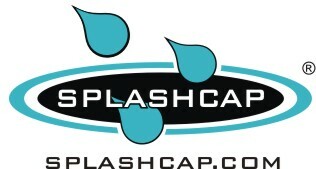 The EarCap has single smooth round wire without any sharp edges. In fact there are no edges at all! Faster delivery of large volumes of fluid, means quicker success, reduced resources and shortened lengths of stay. Less expensive than common plastic curettes when purchased in larger quantities. Yes, our metal curettes cost less! 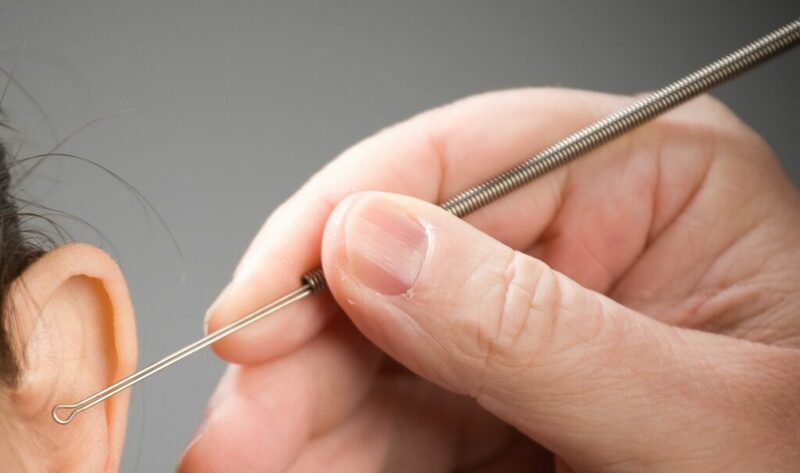 Cerumen and foreign body removal from the ear & nose can be reimbursable. Consult your billing professional. Patients don’t like painful or bloody procedures. Compare the touch of the EasiEar to other products and you decide . Yes. We said it. The EasiEars are even fun to play with. Boiiiiing, Flick, Fidget in between patients. We won’t tell on you. Use the EasiEar to remove wax and foreign bodies. The loop consists of single smooth round wire tip without any abrasive edges. Low profile wire design improves maneuverability in the very tight orifice of the ear canal. The rigid angled tip allows you to effectively scoop out wax and foreign bodies from the ear. The spring wire flexes to accommodate the variations in the surface contours of the external ear canal walls. The flat dual wire construction improves orientation along the inner wall of the ear canal. The EasiEar can even be used to scoop out foreign bodies from ear or the NOSE! The EasiEarTM round wire curette has a smooth gentle tip surface. Compare this to common injection molded plastic curettes in the adjacent photos. Notice the abrasive flash at the edges of the parting lines, where the injection mold plates separated. That can’t feel good scraping on the sensitive ear canal. You may not typically see this, but your patients are feeling it. Try our product & help us: Make it EasiEar for Everyone! Not only is the EasiEar a great product, but it also costs less than common plastic curettes. There are potential reimbursement codes when performing ear wax and foreign body removal. Consult with your billing professional. Let's face it. Cleaning ears is no fun for the patient or for clinicians. The EasiEar was developed to make this, well, ... easier! 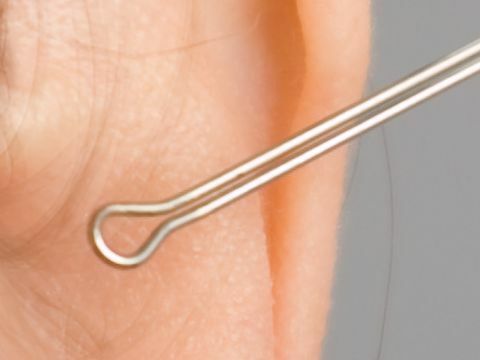 The smooth round wire has no sharp edges to scrape the ear. Compare the feel of this compared to other curettes. The rigid loop will not bend to form a two pronged fork like some plastic curettes. The low profile wire design improves maneuverability in small orifices like such as the external auditory canal (or nose) . The rigid neck provides better control to retrieve cerumen and foreign bodies. The spring handle allows easy adjustments to position changes and conforms to surface contours.